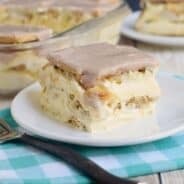 Looking for a unique snack cake recipe? 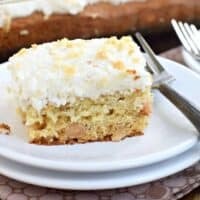 This Banana Macadamia Nut Cake is a great treat to enjoy in the afternoon with your cup of coffee! Remember that time I went to Hawaii and shared one million photos on instagram? 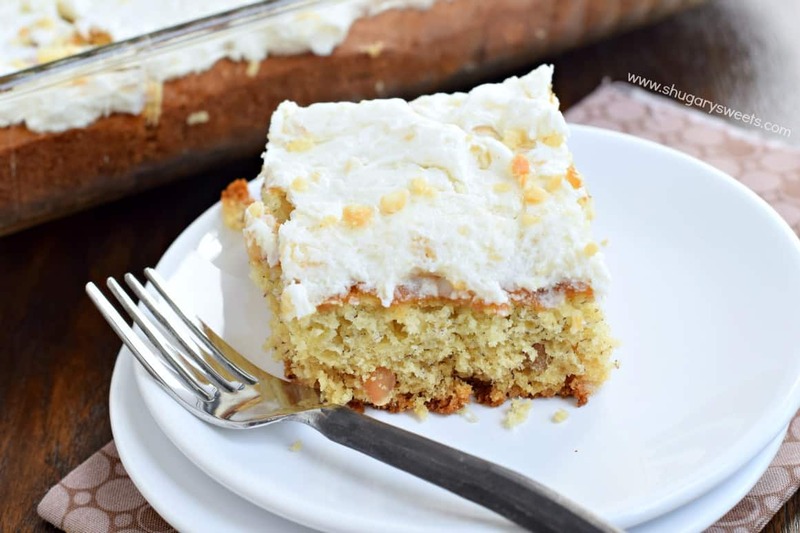 Well, I promised to have tons of macadamia nut recipes on the blog…and I did share a few Hawaiian inspired recipes right away. But then I took a break. Because it was making me sad. All I wanted to do was return to the islands. Haha!! What’s a repeat? No, not leftovers. It’s simply repeating recipes that my family LOVES. Nothing new around here. Chicken Tetrazzini, Mac and Cheese, Rice Krispie Treats and Chocolate Chip Cookies to name a few! Don’t worry, I’ve got some delicious recipes heading to the blog for the rest of the year. But while I go enjoy my precious time with my son, do me a favor? Let me know in the comments what kind of recipe you’re hoping I’ll share this year? The holidays will be here before we know it, and I’d love to hear if you’re searching for something new this year to make? I’m always open for suggestions!! 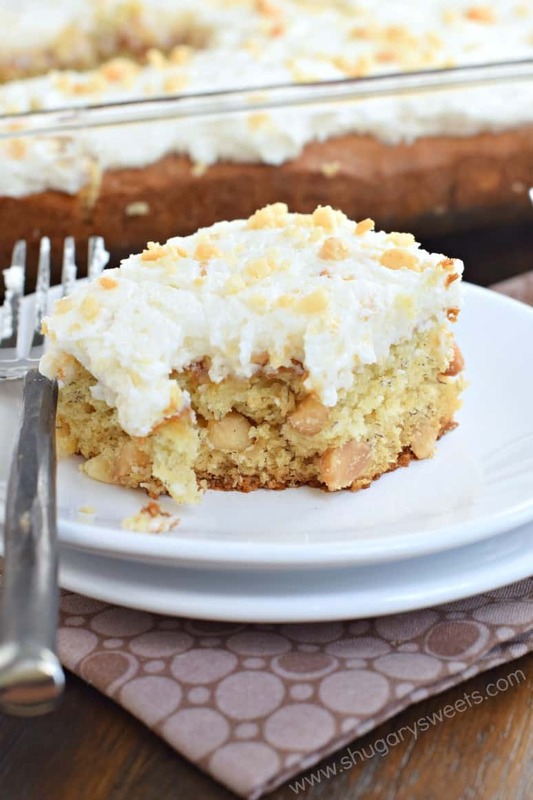 In the meantime….go bake this Banana Macadamia Nut Cake. You’ll be so glad you did. From the crunchy nuts in the sweet cake, to the decadent icing on top, this one will have you craving a piece of the islands. ENJOY! Preheat oven to 350 degree F. Spray a 13x9 baking dish with baking spray. Set aside. For the cake, beat butter and sugar until creamy, about 3-5 minutes. Beat in egg and vanilla. Add in bananas, beating until smooth and mashed. Add in flour, baking powder, baking soda, and salt. Fold in macadamia nut pieces. Pour into prepared baking dish. Bake for 23-25 minutes until toothpick poked in center comes out clean. Remove from oven and cool completely. For the frosting, beat butter, vanilla, powdered sugar, and milk for about 4-5 minutes until fluffy. Spread over cooled cake and sprinkle with macadamia nut pieces. Serve and enjoy! Do you love macadamia nuts? 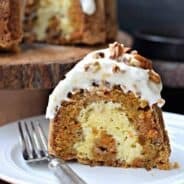 Here are a few of my favorite recipes with this delicious nut! 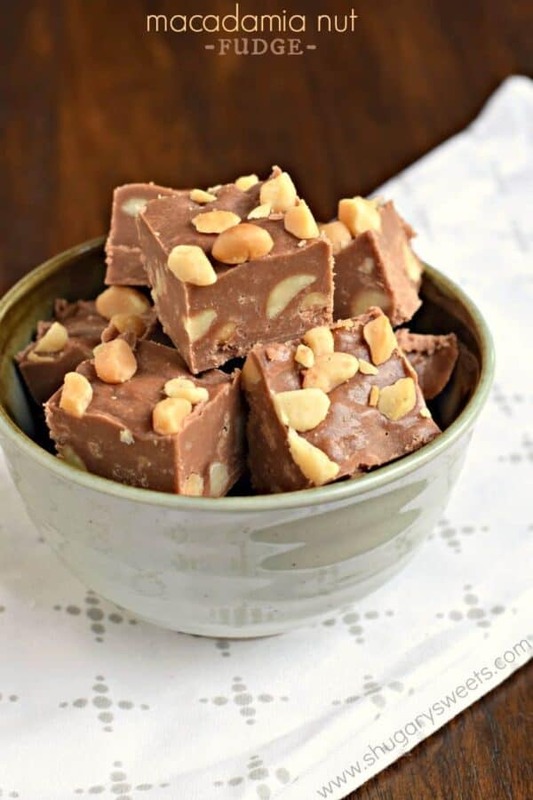 Macadamia Nut Fudge: smooth, decadent chocolate fudge chock full of macadamia nuts! 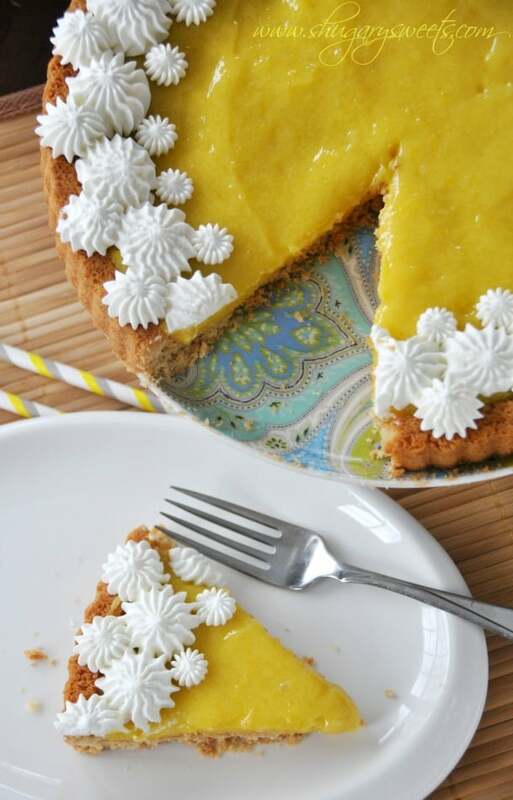 Lemon Tart with Macadamia Nut Crust: from the sweet, crunchy crust to the homemade lemon curd, this is one treat you will want to make! 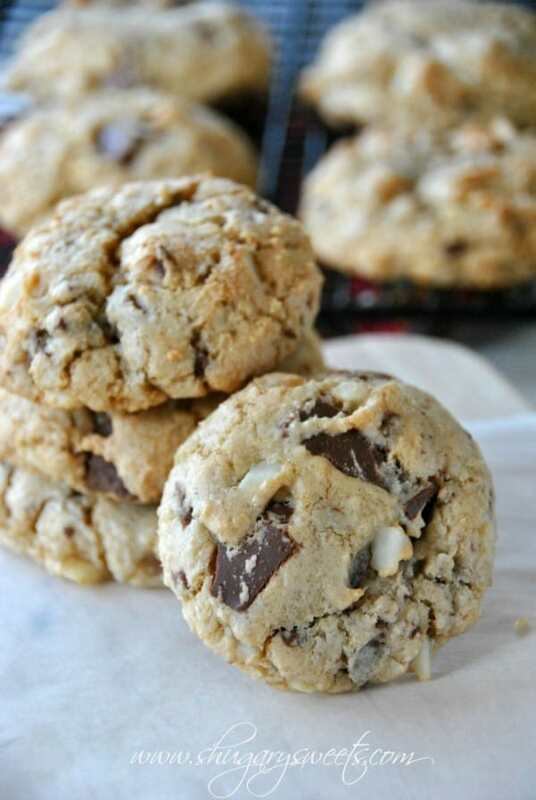 Milk Chocolate Macadamia Nut Cookies: copycat version of Pepperidge Farm Sausalitos! Congrats to your son for surviving boot camp! You must be super proud. Take this time with him and enjoy to the fullest. The recipes will be here when you get back. And I would never presume to ask you to make anything specific, because everything you do it so wonderful. 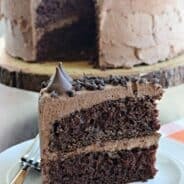 I’m always a huge fan of your fudge recipes! Thanks, he’s a tough kid so there was no question! We’re beyond proud 🙂 And of course there are fudge recipes on the horizon!! Oh yum! This sounds so delicious! I am definitely going to try this! Yum! This cake makes me want to vacation in Hawaii! My brother and his family are in Hawaii right now and I am so jealous. I’ve never been. This cake sounds delicious and enjoy your time with your son. Thank him for his service and bravery! And thank you for linking to my Blueberry Buttermilk Cake! With all these macadamia nuts, I’ll be dreaming about Hawaii for days!! Ahhh the repeats. Always far and few between in a bloggers life! Looks like you have a few delicious recipes in your reserves. Love this cake! It’s such a shame, LOL, too because these repeats are the best!!! 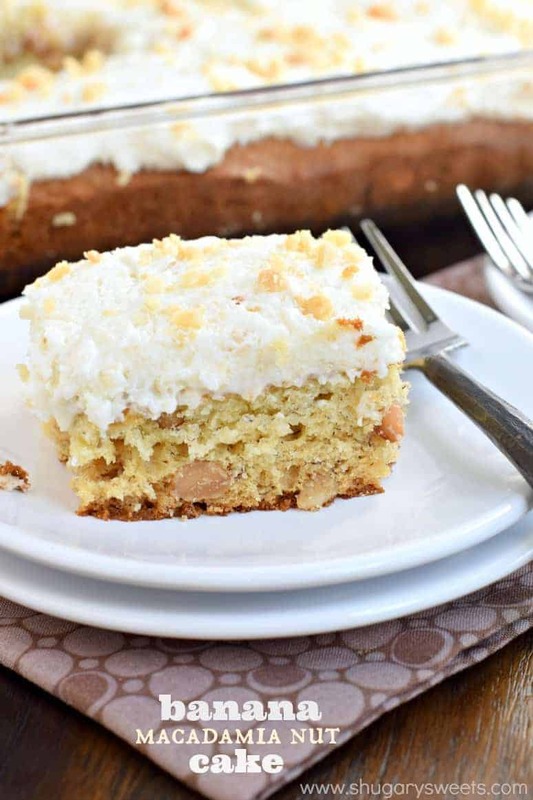 Buttery macadamia nuts with sweet bananas….I’ll take seconds, please! P.S. Thank you to your son for his service! I sure do love this cake! Anything banana is right up my alley! Oh, boy this cake really does sound awesome! Congrats on Alex making it through boot camp…definitely enjoy your time with him home right now!!!! Macadamia nuts are so underutilized. This cake is so cool because it transforms one of my favorite cookies! What a gorgeous cake Aimee! It looks incredibly soft and fluffy and I love the addition of macadamias – my favourite nuts! This cake sounds pretty amazing. My dad loves macadamia nuts, but they are not a nut I bake with often. Clearly that needs to change. I’m pretty obsessed with macadamia nuts, wish they weren’t so expensive!!! Hey I’m just curious if you used salted macadamia or unsalted.